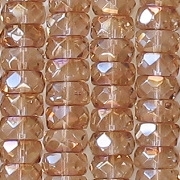 4mm x 8mm faceted rondelles (tire-shaped beads with facets around the outside). 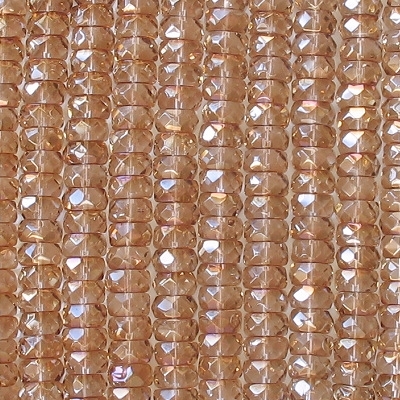 Clear beads with a champagne-colored metallic/luster coating. 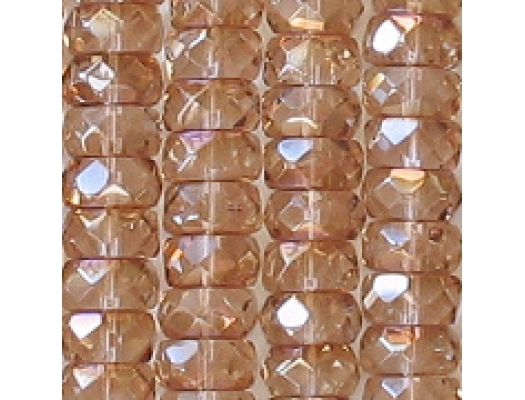 I haven't noticed any problems; however, fire-polished beads always have some imperfect facets. I love celsian beads, so I get them as often as I can.